Orlando Rentals - Search for Your Dream Home! Find the best deal on a rental property located in Orlando or throughout Central Florida and Cocoa Beach. Whether you are looking for a single family home, condo, or townhome, by using our powerful Rental Listing Search capability you will quickly find the right home for your needs. Search for homes located in Lake Nona, East Orlando, Winter Springs, Lake Mary, Longwood, Winter Park, downtown Orlando, Cocoa Beach or throughout Central Florida. Search by price range, specify the number of bedrooms and bathrooms you want in a property. Searches can be performed by city or zip code too! Click on the “View Details” button for the property to see a gallery of photos. Scroll below the photo section to see this property located on Google Maps – get directions to the property. Want more information on this property? Simply click the “Contact Us” button and send us a message. A Premium Properties Property Manager will respond quickly. And if you are ready to rent this home press the “Apply Now” button; you will be transferred to our on-line Rental Application form where you can easily and quickly fill out the application for this property! As a renter you will always receive the highest level of professionalism, service, and fast maintenance response from our team should there be an issue with your property. Renters can report a maintenance issue by using our online "Rapid-Response" maintenance request system. Single family home, condo, or townhome – find the perfect home for you. We offer searches for Orlando, surrounding areas and Cocoa Beach in Florida. Contact us at 407-306-7700 or click below for more information or to schedule a meeting to find out more about our properties from Premium Rental Management. Offering Property Management in Orlando, Florida, Lake Nona, Lake Mary, Cocoa Beach and covering Orange, Seminole, Brevard and Osceola counties and beyond. Are you planning on making a home purchase? When purchasing a home it is important to get a Realtor experienced with helping buyers select the best home, negotiating the best price, and working through the maze of a contract. Premium agents are among the best trained agents in the industry. Click here to learn more about making a Property Purchase. When you select a Premium Properties Realtor you get an experienced agent. Our agents use the most innovative marketing strategies available. You will have your home sold in the least amount of time at the highest price possible. Click here to learn more about Selling your Property. Do you need professional property management service?  The Premium Rental Management team specializes in providing the best property management services in the industry. You can relax knowing you selected the best management team available in Central Florida. Click here to learn more about our quality, professional Property Management services.